Taylor Avakian is a premier client advisor for the acquisition and disposition of multifamily assets nationwide. As a specialized advisor, Taylor and his team occupy a large share of multifamily sales, specifically, across the Western United States. Taylor’s primary focus is on advancing his clients positions by observing market trends and capitalizing on opportunities. 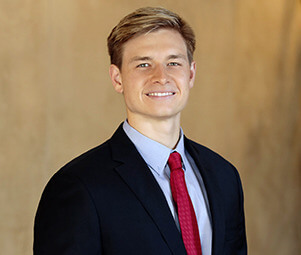 Working with institutional firms and individual investors, alike, Taylor’s knowledge, unrelenting work ethic, and market foresight has allowed his clients to maximize their investment strategies and goals for their investment properties. Prior to his current role at Matthews™, Taylor founded a nutritional supplement company. His market insights and incredible business savviness allowed the company to grow 7000% over a two-year period. After the company was acquired, Taylor shifted his focus to growing real estate portfolios, where he now pursues the goal of maximizing him clients returns.